Group announced the “Google” for the start of testing a new application on the mobile phone, aimed at turning the phone to the portfolio. And supports the application of the “Google Wallet” (portfolio of Google), which is supposed to be put more widely in New York and San Francisco this summer, the technology that “FC” wireless, which is a short-wave to allow the exchange of information with a simple click on the reader is when traders, According to Agence France-Presse. 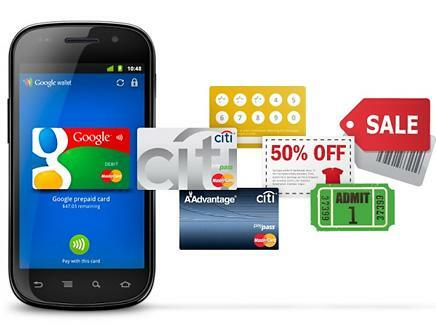 Is supposed to allow “wallet Google”, which was launched in collaboration with the “Citi” and “Master Card” and others, and available to others, users of cellular phones to pay for their purchases through the development of card numbers, bank, or through the use of payment card in advance, and take advantage of special offers provided by the Traders and approval of the credit cards. She is responsible in Google, Stephanie Tillenius, president of Google’s trade-related programs: “We believe that the year 2011 and beyond will be Asraltjarp local and Internet connected on the phone,” and during a presentation by the Google headquarters in New York. Google explained that this new application, decisions put to all cellular phones, the ones that are powered by its “Android” or not, it is assumed that attracts rapidly consumers and merchants alike. Another official said in Google: “It’s like the chicken and egg question, we think of providing convincing arguments in order to embrace the people of this application.” Google noted that it is preparing for the launch of its portfolio at the international level in Europe, and Asia. The company “PayPal” to file a lawsuit against Google, and against two executives of former have two Osama Bedier, and Stephanie Tillenius, and who are now working with Google, for disclosure of trade secrets and shared with Google and other companies, as reported by Reuters.